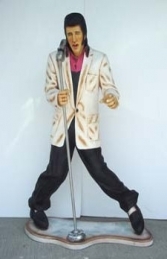 Here at Jolly Roger life-size models, we stock a series of models of some of the most iconic music and rock and roll stars of the 20th centuary. 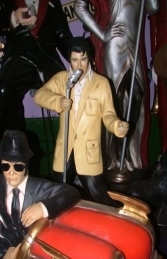 These life-size detailed figures range from likenesses of the famous rat pack croners Sammy, Frank & Dean, to the King of Rock & Roll himself. Our pair of dancing brothers capture the energy and style of the comic duo of Jake & Elwood. We also have jazz & soul singers. 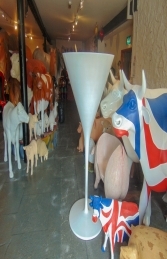 These statues are ideal to add drama in any musical themed display or as features in music bars & clubs. Many of the models are also available in 3ft versions, which look fabulous in alcoves & on counters, or in your own home.